Google and other search engines are going to pay more attention to website authors in the future when it comes to ranking websites. AuthorRank is a powerful concept that is here to stay. Having a decent About Me or biography page on your site is generally a good practice (especially if you have a well-established blog). WP Biographia is a helpful plugin that makes adding your biography to your pages more convenient. WP Biographia adds a customizable biography section to your posts, RSS feeds, and pages. It supports custom types. I like the fact you can pick and choose where your biography shows up. You have some options when it comes to styling the biography box. The plugin adds support for Twitter, Facebook, LinkedIn, Google+ and a few other social profiles too. WP Biographia essentially lets you display more information about yourself or other authors on your site to your visitors. 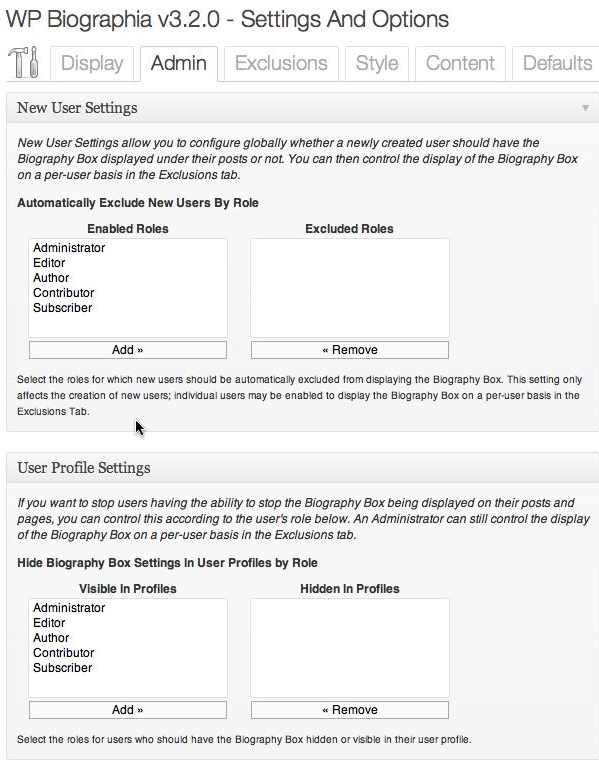 Admins can define which roles will be getting biography boxes. The plugin’s widget is pretty straight forward to use as well. 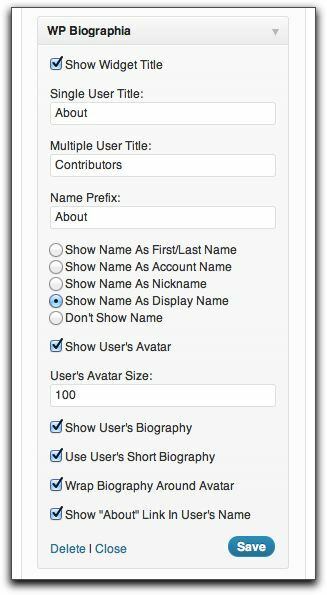 Just choose your titles, name settings, avatar size, and the appropriate fields to get started. WP Biographia is highly customizable and saves you time adding your biography to your site. You won’t have to do coding to customize its behavior. The plugin has a lot going for it. Thanks for the nice mention of WP Biographia. Version 3.3 of the plugin was recently released and includes a lot of new features designed to support multi author sites and sites with guest authors. 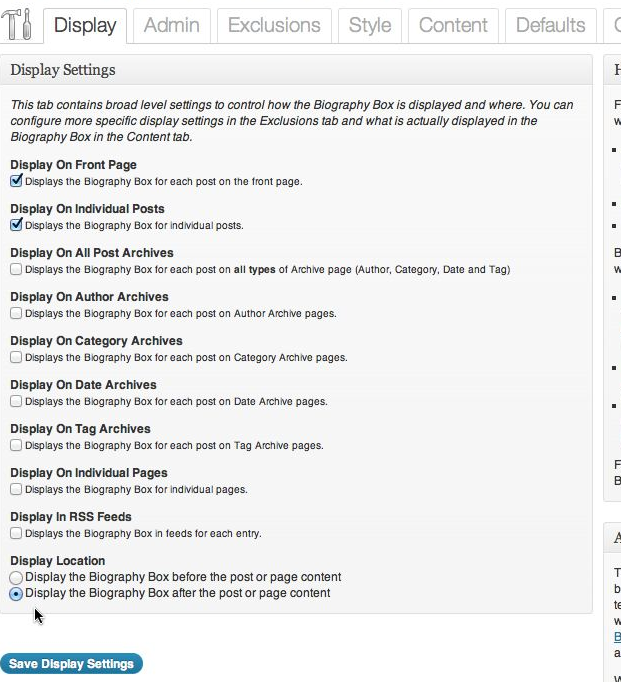 It also allows you to specify where you want the Biography Box to appear (on top of a post or underneath), what types of post the Biography Box should appear on (front page, posts, pages, archives, etc) and includes comprehensive shortcode and template tag support if you really need finer grained control. It even validates all your social media contact links and nudges you if they look wrong, so a Twitter profile URL of @vicchi (my Twitter ID) will be nudged to tell me to enter the URL as http://twitter.com/vicchi. Take a look if you get a spare moment.